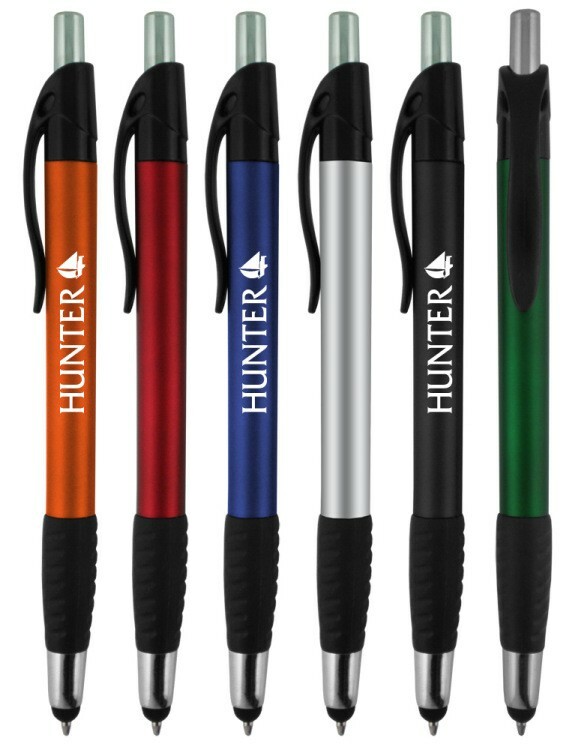 Solid colored barrel, black rubber grip, colored trim, chrome accents, click action, stylus pen tip, ballpoint pen. Available product colors: Black, Blue, Green, Orange, Silver, Red. Imprint detail: 1 1/2" x 5/8"
Standard production time: 5 - 7 days. Rush Service Available, Please Inquire for Charges.